The 4th of November is also a sad day for mum because its the day 3 years ago that she visited and found her mum had left for the bridge. There is never a day goes by that mum does not think of her mum and wish she was still here. It has also become very difficult in mums job because every time she goes in to a no response she worries she will see the same thing. 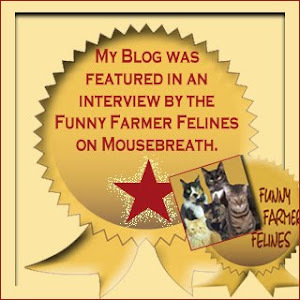 This lovely graphic is what Ann at Zoolatry did for us on one anniversary and the one mum puts with flowers at the crematorium. 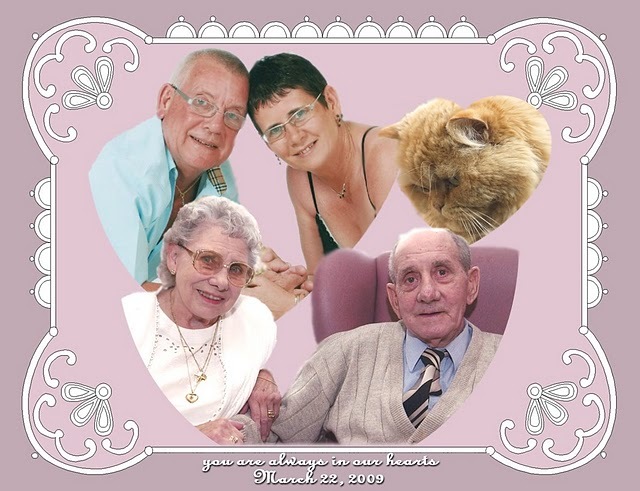 Grandma and grandad are both on here so it remembers them both and shows us all together. Grandma and grandad were married 63 years when grandad died. GJ, thanks for remembering this important day of hope! We have our badge ready, too! Peace...may it be so for all of the creatures who live on this earth. It is wonderful that grandmum sends such a beautiful message of love every year by making the cactus bloom! May you mum find comfort in her sweet memories. OH GJ, I do sending a ton of hugs to your mommy !!! 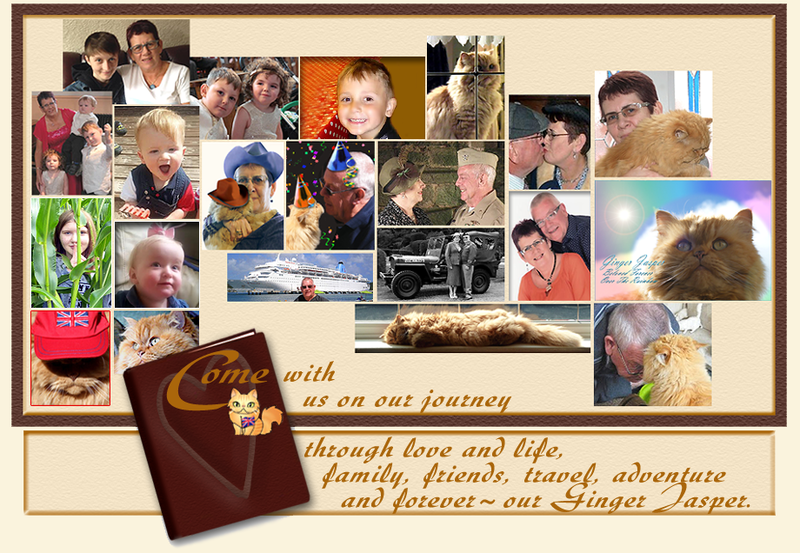 We are purring for peace...and we are purring for your mom on this day. Peace and love and hugs to you too and to your Mom. 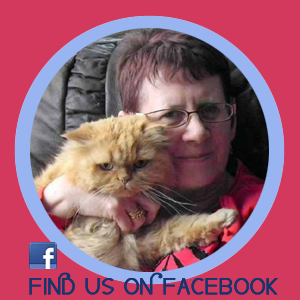 We're purring for peace and we're sending lots of purrs to your mum too. We like the special photo and think it's wonderful that the cacti blooms on this day too. We are purring for peace, too. We know it must be very hard for your Mom worrying about other people who have left for the bridge. You have created a great memorial for your Grandparents, GJ. My mother had some flowers that her Dad gave her and they bloomed most Christmases to remind her of him. Last Christmas was the first Mom was gone and the flowers did not bloom! 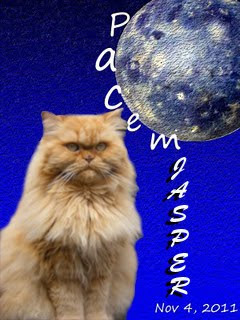 I am sending your human purrs today, GJ, and peaceful wishes. This is a beautiful post.I'm here also praying for peace in this world. A beautiful tribute GJ. May you all have peace today. Hugs to your mom and family, and to you, too. GJ, we're sending your mum extra purrs today and our human is sending cyber hugs and universal Light. We wish you all Peace and Blessings, always. A lovely post GJ - anniversaries are so sad and yet there are always so many happy memories too. We are sending our bestest purrs to your mum today and a kiss from our mum. Sending warm thoughts to you mum and peace to all of you. Dona Nobis Pacem to yous! We also wants to send purrs to your Mommy. Our Mommy knows exactly how she feels and sends her best too. Your poor Mum. We understand what that is like. The picture is wonderful. Isn't it something how the cactus blooms each year on her day. 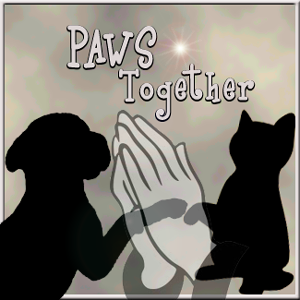 Big hugs, purrs and prayers for your mom, GJ. We are also sending all of our hopes for peace today, and every day. Purrs and hugs to your Mom. Peace to all species everywhere! 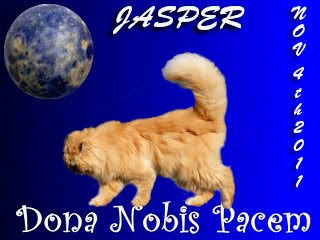 What a really lovely, very touching post, dearest Jasper. . Peace in our world, most certainly! But the ability to make peace with the events in our lives and find peace in our hearts too. As the hymn goes, let there be peace on earth and let it begin with me. Isn't the cactus just amazing! There is something so comforting and heartwarming about it's blooming in memory of your Gran. 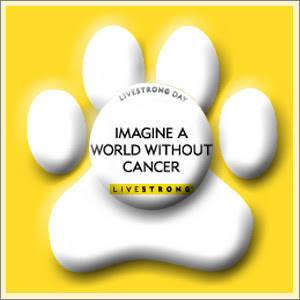 All of our love to you and your family. GJ, that is so nice that she sends the cacti blossoms to remember her by. Sending you all purrs for a peaceful day. P.S. 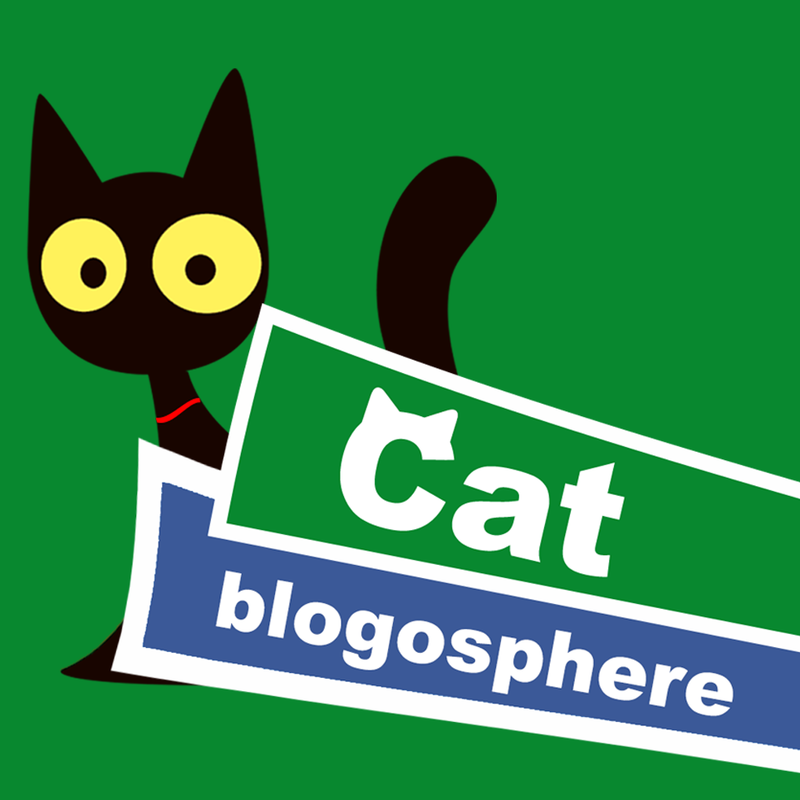 Is it only my blog you have trouble commenting on, or others too? If it's just mine, I want to have our tech person take a look at that and see what might be the problem. GJ and Mom what a beautiful post for your Mom's Mom and the badge is absolutely lovely. God bless Mom today. Amazing about the cacti blooming. Peace be with you today and every day! Special purrs and hugs to your Mom today too. 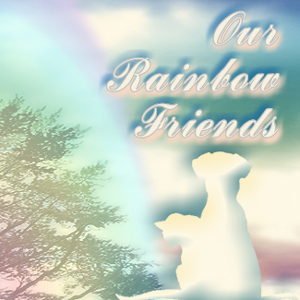 WE sure do send tons of hugs to your Mom GJ since this is such a hard and sad time for her. We are sending lots of purrs and we are depending on you GJ to give Mom some extra snuggles today. Tell Mom to come visit the auction. Maybe that will take her mind off of things for a minute. She loves to shop. The link is on the CB. Such a sad day for your mom. We are purring for your Mom. Awwwwwwwwwwww..... what a sweet post!!! And we're close to your mommy in such a difficult day!!! We know her mom and dad are taking care of her from the Heaven!!!! May peace be with you every day dear friends!!! We love you a lot!!! Give your mum my love, lovely pics. Beautiful memories and even more beautiful peace globes! Peace and love to yoo all! 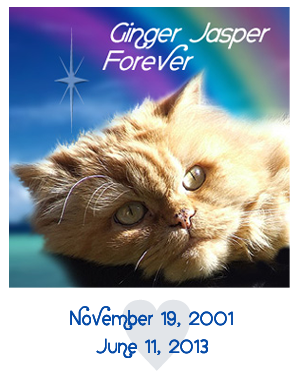 Sending extra hugs, head butts, and purrs as I know this is a difficult day for you and your family. GJ, we are sending your Mum lots of purrs and she will be in our thoughts. That is a very beautiful picture and so are the peace globes. Peace to you and your family today and always. So, though late, I wish for peace for you, your mom and all who feel then need for it. Thinking of you and wishing you peace everyday of the year. These are beautiful peace globes. So glad you were with us in November.